Yes, I am ignoring the fact that it’s Halloween. That I will most likely be spending the evening trudging through the brutal cold of the Great Lakes region at the end of October with a child dressed in a costume designed for Florida. Instead, I’m focusing on this being the eve of NaNoWriMo 2016. This stands for National Novel Writing Month. This is the month were writers attempt to produce 50,000 new words in 30 days. That’s roughly 1,700 words a day. Many who will take part in the challenge have already begin plotting. Putting together their outlines, character sketches, and world maps to be ready for tomorrow. Some even clean the house, do laundry, and stash away frozen meals in preparation for being devoted to writing for the month. I, however, have done none of those things. And not just because I have a spouse and two small children. I will not be joining you this year. I will be finishing up my last project which will equate to about 60,000 words in 6 weeks. 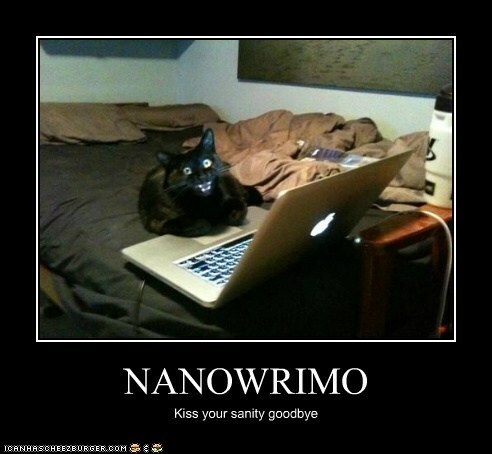 Roughly 1.4k words a day versus the 1.7k NaNoWriMo wants. Might not be at the NaNoWriMo pace, but not too bad. And I kept my sanity. Instead, I will be making a concerted effort to rewrite and revise the three (yes three) novels I’ve completed and make them publication ready. My goal is to try to take these the traditional route through an agent and a publishing line like Avon. 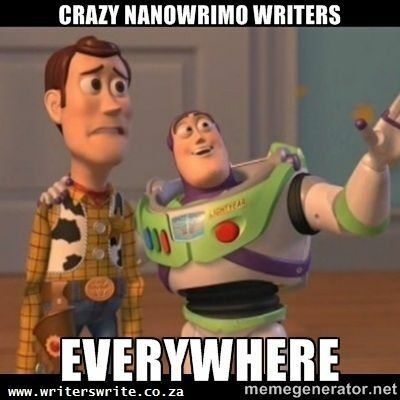 I really want to join NaNoWriMo. I want to experience the camaraderie. The joy of making something new. But I also need to get this editing done. I need to have my books in a state where I can query them and try to get them out into the world. What I really need is NaNoEdiMo National Novel Editing Month! I think nano has changed a bit over the years as there are more people like you and I who have written novels and now need to work on them. I know they’ve tried an nanoedmo but it didn’t take off I don’t think. I am always surprised at the number of people who don’t finish.